LUCASVILLE, Ohio — A late graduation present. Two recent graduates from the Ohio Valley Publishing area were chosen by both the Ohio High School Athletics Association and the Southeast Ohio District Athletic Board to receive scholarships for the 2014-15 academic year. River Valley’s Chelsea Copley and Southern’s Tristen Wolfe were recognized and rewarded for their respective efforts in both the classroom and in competition during the 2015 Scholar-Athlete Scholarship Awards Banquet held Thursday, June 18, in conjunction by the OHSAA and the SEODAB in Scioto County. Copley earned 11 varsity letters, which included being a four-time letterwinner in both basketball and softball. Copley was also a four-time all-district choice and 2015 first team All-Ohio softball selection in softball during her prep career. Copley has signed to play softball at the College of Wooster and plans to major in Communication Sciences and Disorders. Copley, who received a $500 scholarship from the SEODAB, is the daughter of John and Michelle Copley. Wolfe was a four-year letterwinner in both football and basketball, which yielded five All-Ohio selections, five All-TVC selections and a pair of TVC Hocking player of the year awards in hoops. Wolfe also scored over 1,000 points for his prep basketball career. Wolfe, who also won three TVC Hocking titles in track and field as a senior, was an instrumental part in the Tornadoes’ first ever football playoff appearance (2013) and first ever TVC Hocking basketball title (2013-14). Wolfe, who also participated in the OHSBCA North-South game and earned Academic All-Ohio honors this spring, has signed to play basketball at Alderson-Broaddus University and plans to major in Bio-Chemistry. 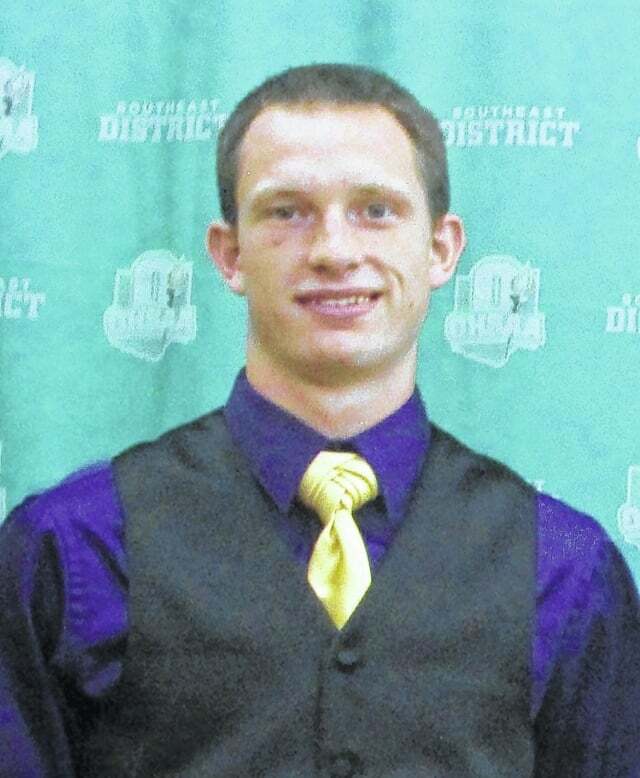 Wolfe, who received a $1,000 scholarship from the OHSAA, is the son of Joe and BettyAnn Wolfe. Both Copley and Wolfe were Valedictorians of their respective classes as well. The OHSAA annually provides scholarships for outstanding student athletes from its member schools. Each member high school may submit one senior male and one senior female candidate for scholarship consideration. Each member high school may also submit one senior female minority and one senior male minority candidate. The scholarships are awarded to student-athletes who have excelled in the classroom as well as high school sports. At the state level, the OHSAA provides 48 scholarships across the six OHSAA athletic districts. Forty-two students receive $1,000 awards – including one student from each of the six OHSAA athletic districts that will receive an Ethnic Minority Scholarship and six students receiving $2,000 Spirit of Sport Scholarships. In addition to the six scholarships awarded by the Ohio High School Athletic Association, the Southeast Ohio District Athletic Board is proud to award an additional eleven scholarships to the deserving scholar-athletes in Southeast Ohio.